The decision to go to graduate school involves, at least in my experience, a realistic evaluation of how much time you have on a daily basis to dedicate to a program. The nice thing about master's programs in general, and marriage and family therapy programs in particular, is there tends to be more of an awareness that master's-level students are more likely than undergraduates to have very busy lives--often involving full-time employment and/or families. This means that master's programs are offered in a wide variety of format options. Whatever schedule you want, there is a program for you. Want to get in and out in the least amount of time? You can pick a full-time program with a daytime schedule that will most likely get you graduated in two years. You could also pick a full-time program with a choose-your-own schedule and just pile on as many classes as you can handle. If you're trying to juggle a master's program with other life commitments, like work or family, you may want to consider a truly part-time program. These programs can often get you graduated in 4-6 years (be careful, though, because this generally increases your overall tuition amount). You may only take one or two classes at a time. A evenings/weekends-only program may give you the flexibility to maintain your day job while still getting your master's. Finally, there are always online programs to consider. There's, of course, wild debate about online programs. Some people think they're every bit as good as brick-and-mortar programs, but others make the (well-made, IMO) point that if you're trying to get training in a profession that is ALL ABOUT FACE-TO-FACE INTERACTION, why would you choose training that's online? It's truly hard to tell what the reputation of online schools is--I don't have much evidence to show, unfortunately, but like all careers, it seems there is some sort of stigma attached to degrees from online universities. And bear in mind, even with an online program, you MUST conduct in-person direct client-contact hours; these field placements are usually obtained in the student's local community. From my personal experience, I want to say that perhaps the most invaluable part of my education so far has been getting to know my classmates. They are truly wonderful people who will be friends and colleagues for life. I feel like I'm building a very important professional (and personal) network that will be critical for my success in the future. I honestly don't think I'd have this opportunity in an online program. For more of my thoughts on why I think program location is an important factor to take into consideration when deciding on an MFT program, check out my longer post about that. At one end of the spectrum, you can attend a full-time program like SDSU. You can be finished with this program in only TWO YEARS, but it will need to be your main life priority while you're there. The program begins with online courses during the first part of summer, followed by day-long classes during the second part of summer. Then, they jump right into fieldwork (in addition to all other classes) in the fall. It's intense, but it also means you spend less time overall in a program. At a program that is affordable to begin with, that makes this program a pretty good deal--if you can afford to spend two years focused solely on school. This program is much more amenable to the needs to working students. If you want a full-time course load, the AUSB full-time option involves class one day per week over 24 months of full-time study. Students can also opt to go at their own pace, taking as many or as few units as they desire--as long as they complete the degree in five years. If you're interested in an online program, NU makes it very easy to start. Students can enroll and begin classes almost any time (start dates occur several times per month). NU is COAMFTE-accredited (read my post on accreditation to find out why--and if--that should matter to you). The only thing students need to do in-person are their client contact hours, and the thing I appreciate about NU is that they make sure students understand how this works at the point of applying to the school; this ensures that students are not caught off-guard when they realize they will be responsible for procuring their own fieldwork site (read more about how that works in my post on fieldwork). This program exemplifies all possible format options. On the one hand, Pepperdine offers a full-time format--students attend the Malibu campus during the day and the course schedule is lockstep and predetermined. A flexible part-time program is also available; not only are classes offered during evenings and weekends, but they are offered at three different campuses across the Los Angeles area, and students are allowed to take courses at any or all of these locations. Finally, Pepperdine even offers an online-only option. The drawback, however, is cost. Estimated total program tuition for the online-only option is $92,690 - $101,660, roughly the same as that of the full-time program tuition. The evening-format estimated total program tuition, however, is only $71,700 - $78,870. Hope this post has helped clear up what sort of format options you have as an MFT graduate student. Oh man. You have no idea how hard I laughed when I uploaded this photo. Fieldwork. HA! I'm still laughing. If you're researching MFT programs, you've probably heard the term "fieldwork" and gathered that it is a requirement for graduation. Your "fieldwork placement" is where you gain direct client contact hours ("practicum" is the class you're enrolled in while you are working at a fieldwork site). You actually counsel clients while you're in graduate school. Full disclosure: I am in the middle of the fieldwork process. I've applied to some sites and am waiting for interviews. I'm basing much of the following info on research instead of personal experience, but I will update as I learn new and exciting things! So, what is fieldwork, exactly? First of all, you should know that the state of California requires at least 225 hours of direct client contact in order for you to graduate. If that's what a program requires, they are requiring the bare minimum. That could be good or bad--on the one hand, you'll get out sooner, but on the other hand, you'll have less experience than other graduates. The maximum number of direct client contact hours you're allowed to log while in graduate school is 1300. You could log more, of course, no one will stop you as long as you're following all the rules, but you won't be able to count more than 1300 hours towards the 3000 hours you need for licensure. Some programs have on-campus clinics, and many who do guarantee that students can meet all their hours at the on-campus clinic. For example, at CSUN, you can apply for the Mitchell Family Clinic/Strength United cohort--this track of the MFT program completes all of their fieldwork hours through these two university-affiliated programs. This situation has both pros and cons. On the pro side, you would not need to worry about finding a placement and the whole process will be pretty convenient. You'll avoid the application and interview process entirely (apart from applying for the program itself). On the con side, you probably won't have a ton of say in what sorts of populations you work with or what kind of supervision you'll get. The alternative are programs where you find a placement out in the community. At CSUN, the school provides students with a list of approved community sites, but it's up to the student to apply and get accepted. This approach ALSO has pros and cons. The pros? You get to find a placement that interests you--but there's no guarantee they'll take you on as a trainee (you have to apply like you're applying for a job). You also have an opportunity during the interview to get hopefully get a sense of what supervision will be like, and if it rubs you the wrong way, you can try somewhere else. Some sites will train you in specific evidence-based treatments, which are proprietary modalities that can cost thousands of dollars to become certified in, at no cost to you. But the cons are real. It can be confusing and stressful trying to find a placement in the community. Personally, I didn't find the process overwhelming because I've applied for jobs before; some of my classmates, though, found the process incredibly trying--many were putting together resumés and cover letters for the first time, and interviews were intimidating. You should also know that it seems like there's a non-zero number of graduate students who continue working at their fieldwork site post-graduation. Either they continue to do it for free to earn the rest of their 3000 hours towards licensure, or some even get hired by the site. My school has low-key suggested that you shouldn't really stress about what site you end up at, but I think if you have a long-term goal of being hired at a site post-graduation, it's something you should keep in mind when you're applying to schools. For example, if you're applying to a program that requires you to work at the on-campus clinic, I doubt you would be able to stay on there post-graduation. If you're currently working in mental healthcare, and you think it will be easy-peasy to log your hours at the site you're currently employed at, you may want to clear this with the program before applying. Other schools seem to be fine with this arrangement, but my program "encourages" students to seek another placement to gain broader experience. If you currently work in a private practice, you should know that in California, trainees cannot log hours in a private practice (though they can once they become Associates). Ultimately, I don't know if the fieldwork placement situation would be a dealbreaker for any program, but you'll probably want to know a bit about what you're agreeing to when you enroll. Personally, I'm glad I made the choice to attend a program where I could choose my own field site. Friends of mine, however, have said they wish they'd chosen the other CSUN cohort where you are placed into the on-campus clinic. Now that I have met several CSUN professors who serve as supervisors at that clinic, I think I also would have enjoyed that, but I don't regret my decision. Again, in my own opinion, I would be wary of programs that offer NO support to their students in terms of finding a fieldwork placement. It seems that these students need to take on the extra work of researching agencies in their area with traineeship programs and vetting them to ensure the site meets the school's criteria. It's extra work that I'm very glad I don't need to worry about, on top of everything else I have due! On my site, MFT California, I tried to include any information programs make available about how supportive they are when it comes to fieldwork. I hope it helps you in your hunt for the right grad program! If you're trying to decide where to go to graduate school for marriage and family therapy, one of your primary concerns will most likely be location. It seems like most people select an MFT program that is close to where they live--I know that's what I did. But I do know some people who were willing to relocate for school. Why would anyone uproot their life for school, when chances are pretty good there's at least one program within driving distance?? Let's take a look at some of the reasons physical location of a graduate program is important, and then maybe you'll have a better idea of how important location is to you--and whether you're willing to uproot yourself. During your program, you will need to get direct client-contact experience in order to graduate (the specifics of this are laid out on the BBS website). Some schools have an on-campus clinic and guarantee you that you can meet this requirement at their clinic. Others, however, require you to "go out into the field" (the community) and find your own placement--this is also called a traineeship, as you are considered a "trainee" when you are enrolled in a graduate program and seeing clients (check out my post on fieldwork for a more thorough look at the differences between those options). If you're in an area like Los Angeles, you will have absolutely no problem finding such a placement--your challenge becomes deciding which one you want. If, however, you're in a more rural part of California, your opportunities for field placement sites may be limited. Trainees are not allowed to earn hours in private practices, so you will need to find some sort of local non-profit or agency that can meet the requirements (including supervision) of the BBS. As I've gleaned from some forum discussions online, this can be really hard. I have no personal experience with what you do if you're in a rural program and you can't find a traineeship, but it seems like a real problem, and one of the reasons I suggest attending a program in an area with robust mental health services options. Hopefully, during your time in graduate school, you'll be building the foundations of your professional network. 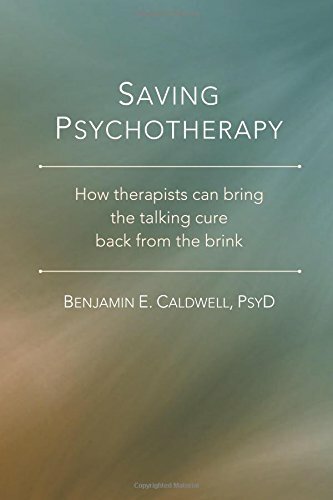 The mental healthcare field is largely a community-oriented profession, and while the internet provides opportunities for you to connect with other therapists anywhere in the world, the most important contacts will probably be the ones you make in real life. If you attend a graduate program in an area you are not considering practicing in, you are depriving yourself of a head-start on building that important professional network. This kind of goes along with networking. If you want to practice in San Diego, but you go to school in San Francisco, once you get to San Diego you will need to begin at square one in building your professional network. To some extent, this goes for whether you're looking for an agency job or thinking about opening a private practice. But if you begin practicing in the same area where you went to school, chances are a little better that your network can help boost you as you're starting out. Of course, there's a flip side. If you live in an area that's low on mental health resources, you may benefit from attending school somewhere else for a couple reasons. First, you personally may benefit training-wise from having fieldwork opportunities in a higher-density area. And second, when you return to your home base, your credentials of having attended school and worked in a more metropolitan area may give you an advantage in getting work. And finally, if you're planning on going to school in California but think there's a chance you may want to practice in another state, you will definitely want to investigate the accreditation of any school you're attending. The MFT is not a very "portable" license, meaning that it's hard to qualify for licenses in other states just by virtue of having qualified for an MFT license in California. Part of this is because of the graduate programs that qualify for licensure here versus other states. Some states (not California) require that a licensee's graduate degree be granted by a COAMFTE-accredited program, but there are only nine programs in California that currently have that accreditation status. If license portability is important to you, you may want to think about making attending a COAMFTE program a priority. Personally, I had no intention of practicing out of state, and I hope to practice in the city I'm currently living in--Los Angeles. And there are plenty of MFT programs in Los Angeles to choose from. However...I didn't know about MANY of them. Some simply don't show up when you Google "MFT program Los Angeles." I wanted to make things easier for you, if you're looking to narrow down your choices by location. So on my website, MFT California, I created a map that plots the locations of every MFT program approved by the BBS in California. 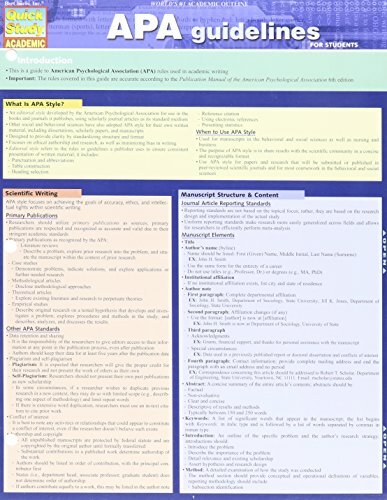 I hope you'll find it a handy resource as you hunt down the perfect program for you! When I first started researching MFT master's programs, one of the questions that kept gnawing at me was, "what is it really like to be in one of these programs?" Each program seemed so different, and I didn't have a great idea of what "perks" I should be prioritizing over others. Should a flexible schedule at multiple campuses be the deciding factor? Or should I shoot for a rigorous "lockstep" program that would get me out in the least amount of time? Would I be missing anything if I did an online program? And what's the deal with "fieldwork sites," anyway?? I've successfully completed my first semester in graduate school and have begun my second--which includes the fieldwork/traineeship process. I wanted to give you a breakdown of what I've experienced so far. Bear in mind, this is one experience, and I'm basing all of my judgments on my one experience. I'll be honest about what I think, but you may think and feel differently from me, and ultimately come to different conclusions, and that's ok! I just wanted to illuminate the whole thing a little. For many reasons, I decided to attend California State University, Northridge (CSUN) in Los Angeles, CA. First, I'm going to address the various factors that influenced this decision so you can see my thought process and how it panned out. Then, I'll give you a look inside what my classes were like. Location was the most important part of the decision for me . The school I attended had to be in Los Angeles, because I couldn't relocate. That being said, I didn't feel like I needed to attend the closest campus to my place--I didn't mind driving under an hour, but I couldn't attend school in Santa Barbara or anything. I wrote a whole post on why location of your grad program is important if you'd like some more information. After that, cost was an enormous factor. I'm still paying off student loans from my undergraduate years, so I didn't want to take on another huge chunk of debt. It seems like you can make a solid living as a marriage and family therapist, but you're probably not going to be a millionaire, so it didn't make sense to me to take on $100,000 of debt just for a master's degree. That ruled out programs like Pepperdine and USC. The CSU schools, however, were remarkably affordable. Once I narrowed down my choices based on location and cost, I started to consider the less-easily-quantifiable factors. I wanted to get a good education, be taught by good professors, have exposure to diverse populations, and have some flexibility to make my experience personal to me. Trying to determine the quality of the education and professors at different programs was difficult. What worked best for me was doing some Google and library research on whatever professor names I could find. Some were easy--CSUN, for example, lists its full-time faculty on its website. Others, like Alliant, don't have a full list of faculty members, just a sampling of professors in the program (and information was scant on the Los Angeles ones). Once I had some names, I could see if they were actively practicing, researching, publishing, presenting at conferences, speaking on panels, etc. Quickly I determined that the faculty at CSUN was very active in all those activities, which gave me a sense that the program was probably academically rigorous rather than geared simply towards meeting accreditation requirements. Accreditation was another thing I considered but was far from the deciding factor. The only Los Angeles-area COAMFTE school while I was applying was Alliant; CSUN had CACREP accreditation, which seemed to be not as "great" as COAMFTE but better than nothing. However, I found out after I applied that CSUN had in fact been actively pursuing COAMFTE accreditation and was awarded it right before I enrolled--by the time I started, CSUN's program was, in fact, COAMFTE-accredited. You can read about why that is (sort of) important in my blog post on accreditation and why it matters. Finally, the program format was important to me. CSUN's MFT program meets two days per week in the evenings. You are placed in either the Monday/Wednesday cohort or the Tuesday/Thursday cohort, and for the entirety of the program you stay in those groups. I figured this would give me the flexibility to work during the days and go to school in the evenings (I will get to how that worked out in just a second). The program has been described as a "lockstep" program--the cohort moves through the program together, and all classes and the order in which they are taken is prescribed. So first semester, everyone takes the same classes, though you may have different professors; the second semester, you all move on to the next set of classes as a group. This differs from a program like Pepperdine's evening format program, where they tell you what classes you need to graduate, and then you figure out what order you want to take them (and where). If you would like to know more about different program format options, check out my blog post on that subject. So, how did it all work out? Honestly, I feel like I made the perfect decision for me. The commute to CSUN is not bad, and parking isn't that great a challenge for evening classes. It costs a good chunk of change to go to grad school, but my program is significantly more affordable than most other programs in the area so every time I have to pay my tuition I remind myself it could be lots worse! The professors are, as I'd hoped, incredible. For the most part, each is brilliant and on the cutting edge of his or her particular area of expertise, and every single one is so supportive and caring--they truly do want students to succeed. But the x-factor in my experience has been my classmates. I'd hoped that by going to a cohort-model program, I would be able to form stronger bonds with classmates (my future colleagues) than I might be able to attending a program where you have different classmates for every class, and I definitely think that is true. Within the first few weeks of class, I'd met and formed friendships with some really amazing people, and as the semester went on, those bonds deepened and even more bonds were made. Even this semester, I'm still making new friends and adding to this incredible support system that I'm not sure I would have found elsewhere. It is for this reason alone--my classmates--that I would urge anyone considering an online program to take a look at on-campus programs one more time. I'm sure you can probably learn a fair amount of material via online delivery, but I think my experience would have been far less valuable without hearing my classmates' perspectives during in-class discussions or being able to engage with them outside of class. It really is the thing that will push your grad school experience from sufficient to transformative. First semester, our cohort had to take Counseling Theories, Practicum, Law & Ethics, and Clinical Research Methods. There were two different instructors for Theories, four for Practicum, and then the same instructor taught two different sections of Law & Ethics, and another instructor taught two different sections of Clinical Research. I had Dr. Stan Charnofsky for Counseling Theories, and there were about 20 students in the class. On the first day, he gave us an overview of what we would be doing in class--every week, a group would present on a specific psychotherapeutic theory for about an hour, and then after than Dr. Charnofsky would add a little bit of information from his own perspective. A sign-up sheet was passed around and we signed up for whichever theory we wanted to present on (I picked postmodernism). We had one textbook, and every week our assignment was just to read the chapter out of the book that applied to the upcoming presentation. The class was an interesting overview of all the theories that make up the field of psychotherapy. We covered everything from Freud to gestalt to person-centered to choice theory to an overview of family systems. It was really easy, which was a nice way to ease into graduate school (because my other classes were not easy). We had no exams during the semester, and the final was a group discussion with Dr. Charnofsky--he presented a case vignette, then we brainstormed different ways we could approach the case from different theoretical perspectives. Dr. Charnofsky was always very supportive and very kind, and he really encouraged us to do our presentations in whatever way we felt inspired to do (most of us did PowerPoints but he was open to anything if you wanted to be more creative). This class is where I made the strongest bonds with my classmates. I had Dr. Mark Stevens and I don't think I've made a luckier choice in my entire life--I just randomly chose to be in his practicum because I'd seen him speak at orientation and he seemed nice. He's great. He really got a feel for our class's comfort level, didn't let preconceived class structure get in the way of us getting to know each other, and was just a gentle supportive presence at every turn. In this class, we began doing role-plays, which is a mainstay of therapist training. GET USED TO THIS IDEA NOW! 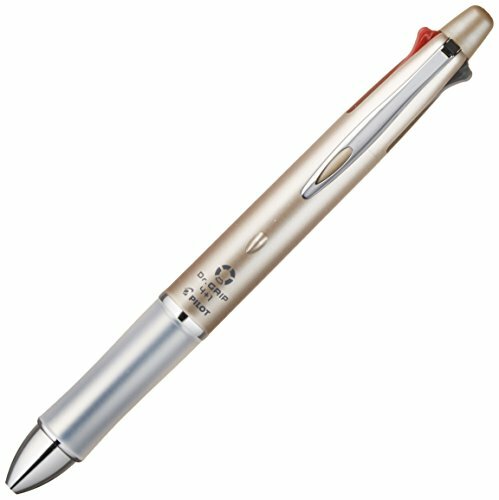 It seems to be a go-to tool in training beginning therapists. One student plays "the therapist," and the other plays "the client." Sometimes you do the role-plays privately, but you will also be expected to do them with the whole class watching. Dr. Stevens made a really great choice in letting us create a character when we played the client at first--I think this gave us all time to get comfortable with each other. Then, after awhile, if we wanted to bring in personal issues during role-plays (like friend drama or family problems etc), we could. I cannot stress enough how important it is that you go into this class with an open mind and a collaborative spirit. Try your best to set a tone that encourages the rest of your class to approach this as a team. 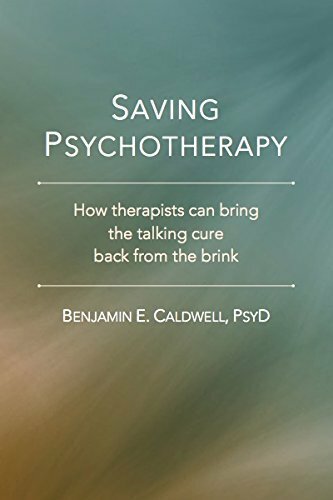 You really don't want it to descend into a competition, where you're trying to win the title of Best Therapist when you're in the therapist seat or trying to trip up your classmates by playing Problem Client when you're in the client seat. This is a class for introspection and muddling through the newness of it all, not for trying to demonstrate how amazing you are. You should also get in the frame of mind to receive feedback, because you'll get a lot. 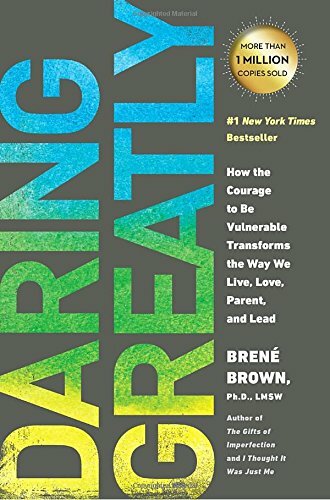 I highly recommend Brené Brown's book Daring Greatly, and you can read my review for my thoughts on what she has to say about giving and receiving feedback--it should be required reading before Practicum! There were no exams in my practicum class; instead, we had some writing assignments, turned in weekly journals, and had a couple role-play projects where we paired up and filmed role-plays for submission, and for one of them we had to write out a transcript of the session. There was also a final PowerPoint presentation about our experience over the semester. This may seem like a dry, boring class, but I promise you, it's really important with a lot of real-world applications. 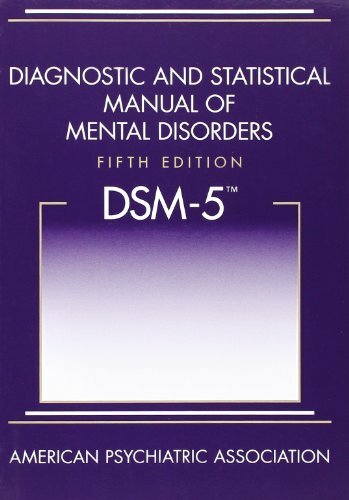 I had Dr. Ian Russ, who used to be Chair of the Board of Behavioral Sciences (the MFT licensing board in California) and has also been involved in CAMFT, one of the main professional organizations for MFTs in California. 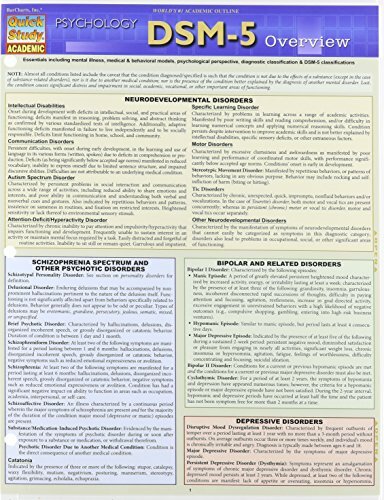 He has extensive personal experience with many of the issues covered in this course. Most of each class is taken up with a lecture by Dr. Russ; he uses the Socratic method, so he'll pause his lectures frequently to ask the class a question (and he will wait for an answer, so don't think he'll move on if no one says anything!). In almost every class there is also a group presentation on a specific theme--you'll sign up in the first couple weeks of class. 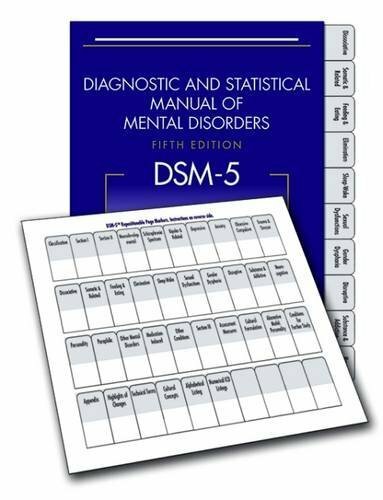 These cover things like Tarasoff situations as well more broad categories like eating disorders and child abuse; each group is expected to cover both the legal and ethical issues associated with their topic and present with a PowerPoint. There were two quizzes during the semester that were pretty hard (you really need to learn everything, so try to listen for the details that Dr. Russ thinks are especially important), but the final was really based on the quizzes so it wasn't brutal. I feel like this class did a great job preparing me for the gray areas of this profession, but it was definitely designed more to encourage critical thinking and evaluating your personal ethics rather than preparing students for the Law & Ethics licensing exam that must be taken in order to practice. 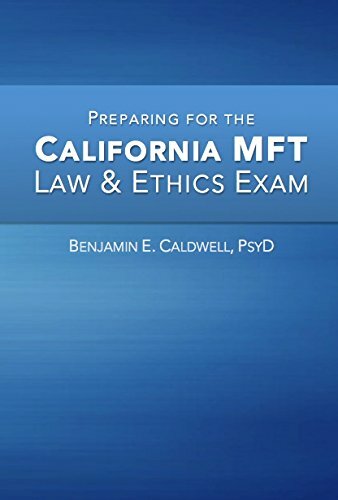 Dr. Ben Caldwell also teaches this class, and he has written a prep textbook for that exam, Preparing for the California MFT Law and Ethics Exam, that I highly recommend. I bought it the first week of class and followed along as we moved through the semester, so I feel like I learned the material with an eye towards the exam. I was not a psychology major as an undergraduate (I studied English literature), so this class was the most challenging but also my favorite. I learned so much! I had Dr. Deborah Buttitta, who is really smart and kind. I loved her teaching style--mostly she lectures, but she's very open to questions and discussion if anyone is confused about anything. Her PowerPoint slides were crucial for preparing for the quizzes during the semester. The course, as its name implies, covers research methods used in the field of family therapy. Dr. Buttitta emphasized that even if you have no intention of doing research yourself, it's very important that as a clinician you understand research (and what makes research good), as one of our ethical obligations as therapists is to be up-to-date on the latest research that can help our clients. The major component of this class was the literature review. I had never done one before--my classmates who were psych majors were familiar with this project so I don't think it was as intimidating to them. But even though it was intense, I do think this was an excellent assignment to practice coming up with a question, finding literature that could help answer the question, and synthesizing all the material into a usable form. I would definitely take another class with Dr. Buttitta. The biggest lesson I learned about graduate school is that even though my classes only meet two evenings per week, it is in fact a full-time class load. There is SO MUCH reading, and there really are a lot of group presentations and projects that take up a lot of time. So while it was possible for me to continue to work part-time while I was in school, it was a delicate balancing act. My classmates who have full-time jobs were much more stressed, so I would really say that if you must continue working a full-time job while you're in school, you may want to only consider programs that allow you to go part-time (CSUN is a full-time program). The other major lesson I have already addressed above--I think my classmates are an integral part of why my experience so far has been so incredible. I simply cannot imagine doing these classes online and not having my classmates to discuss things with. Also, hearing my classmates' perspectives in class discussions but also outside of class has truly expanded my experience and understanding of the world, which I think is vital both as a therapist-in-training as well as a person in general. I feel so lucky to have met such compassionate, inspiring, funny, smart people. I hope your experience is as transformative!! If you have any questions about the grad school experience, don't hesitate to contact me.